Find the secret forest, in which there are several trees, in which a group of people unites. Listen… the dunduns ask, the voices of the djembes answer… Listen carefully… There are sounds of laughter and singing. Bare feet touch the earth rhythmically, knees are being lifted high, heads are being shaken vigorously. Rhythm, melody, beat and voice are translated into movement. Music and dance meet. Body and mind are connected. Listen… the far Africa isn’t that far. Forêt Sacrée Obouibé… There, a group of people becomes one. Forêt Sacrée teaches traditional West-African dance and Afro-contemporary dance, guided by live percussion. In the traditional dance lessons we share the culture and stories of the traditions of the Ewe, among others. 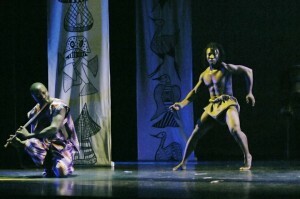 In the Afro-contemporary dance lessons, founder Ayaovi Kokousse provides the traditional dance with a modern shape, inspired by his experience in modern dance techniques. Ayaovi teaches weekly in both Utrecht and Amsterdam. Futhermore, you can hire us as (guest)teacher in (dance)schools for adults and children. 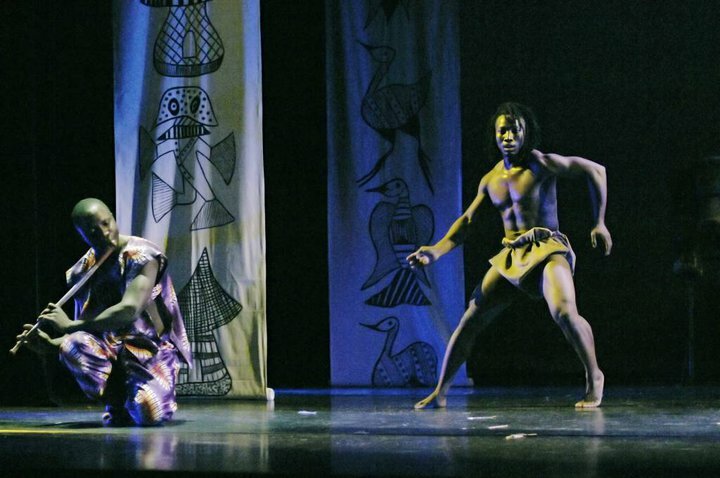 Forêt Sacrée regularly organises workshops with various teachers, focussed on specific elements of the African dance. Guided by live percussion, this is invariably a swinging and intensive experience, full of singing and dancing. You can also invite Forêt Sacrée to give workshops or projects in African dance, percussion and singing, for example on schools, as a team building activity in companies, or during festivals. Stilt walkers, fire-eaters, masks, colourful costumes, percussionists and dancers… in spectacular performances on stage or off stage, the dances, deeply rooted in tradition, are being performed with unlimited enthusiasm. Furthermore, Forêt Sacrée does modest modern performances, mesmerizing the audience. 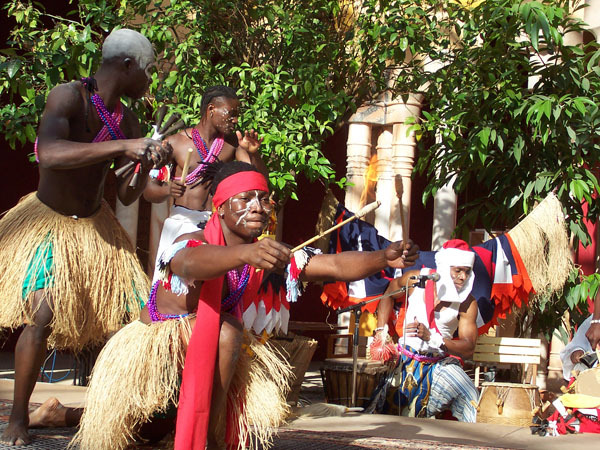 The shows can be customized to give your festival, party or event an upbeat African touch.